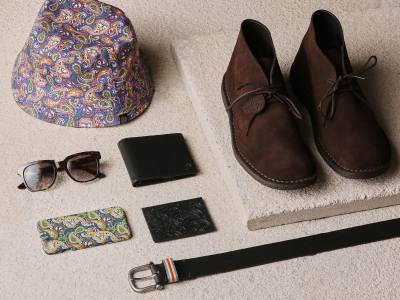 Pretty Green has collaborated with the travel inspired brand Gandys to bring you a new staple footwear style for the Spring Summer season. 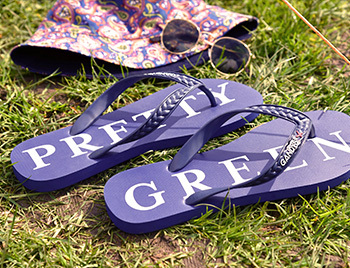 The flip-flops are made from all natural lightweight materials and feature a chunky grip sole and the signature Gandy’s woven rope style strap with Pretty Green branding. A percentage of all profits from these flip flops goes towards supporting children in need of basic essentials such as nutrition, shelter and education. Founders and creators of the Gandys brand are brothers Rob & Paul, who came from a bohemian upbringing - travelling and volunteering all over the World. Driven by their personal passion after the tragic loss of their parents in the 2004 boxing day Tsunami – Rob & Paul developed Gandys with the vision to fund their charitable foundation; ‘Orphans for Orphans’ which enabled them most recently to build a children’s home in memory of their parents. 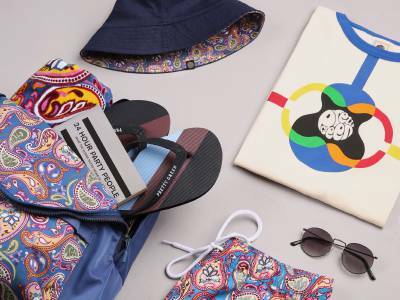 The brothers live by a simple philosophy, which is strongly reflected in the brand, Designed in London, Inspired by Travel, Fuelled by giving back. The brothers decided to do something positive to honour the memory of their parents and help other orphaned children around the world. Sales of the flip-flops fund their ‘Orphans for Orphans’ initiative, supporting children in need of basic essentials such as nutrition, shelter and education. The initiative has already started to make an impact by funding children’s homes in India and Sri Lanka and their vision is to open them all over the world. The flip-flops have gained a number of celebrity followers as well as being stocked by a number of well-known brands. Read more about the production of Gandys HERE.